Tea Pot with Rose Knob – Chinese Bouquet Turquoise / Apponyi ATQ3-PT pattern. Herend fine china – 606-0-09 ATQ3-PT – Turquoise w. Platinum design. The classic Apponyi design is also known as Chinese Bouquet. Tea Pot with Rose Knob – Herend Chinese Bouquet Turquoise / Apponyi ATQ3-PT pattern. 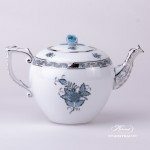 The Tea Pot is an ideal choice to all Chinese Bouquet Turquoise Tea and Breakfast Sets. 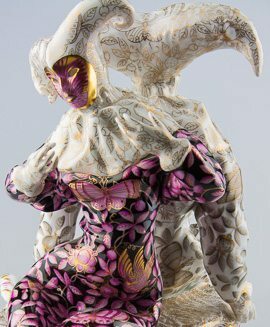 One of the modern Herend colour versions. Coffee Pot w. Rose Knob - Chinese Bouquet Turquoise / Apponyi ATQ3-PT pattern. Herend fine china - 613-0-09 ATQ3-PT - Turquoise w. Platinum design. The classic Apponyi design is also known as Chinese Bouquet. Tea, Coffee, Espresso Sets and Dinner Services are available. Cake Stand w. 2 Tier and Metal Handle - Chinese Bouquet Turquoise / Apponyi ATQ3-PT pattern. Herend fine china - 308-0-91 ATQ3-PT - Turquoise w. Platinum design. The classic Apponyi design is also known as Chinese Bouquet. Tea / Coffee Cup and Saucer - Chinese Bouquet Turquoise / Apponyi ATQ3-PT pattern. Herend fine china - 730-0-00 ATQ3-PT - Turquoise w. Platinum design. The classic Apponyi design is also known as Chinese Bouquet. Herend fine china Tea Pot with Rose Knob – Herend Sevres Roses SPROG design. Traditionally, many tea and coffee events took place with these rich gilded items. What is perhaps Herend’s most classical design. Victoria Grande Tea Pot - 20605-0-06 VICTMC6 - Herend Porcelain The Victoria Grande-VICTMC Decor a modern variant of the Queen VICTORIA pattern. Can be upgraded for complete Victoria Grande Tea Set. Tea Pot with Twisted Knob - Black Fish Scale VHN pattern. Herend fine china - 20606-0-06 VHN Black design.. One of the modern Herend designs. Tea, Coffee, Espresso Sets and Dinner Services are available. Tea Pot with Twisted Knob - Oriental Showmen FODO pattern. Herend fine china - 20603-0-06 FODO design. One of the most classic Oriental Herend design. Tea, Coffee, Espresso Sets and Dinner Services are available. 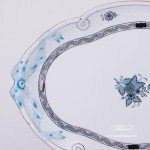 Tray Rococo - Chinese Bouquet Turquoise / Apponyi ATQ3-PT pattern. Herend fine china - 402-0-00 ATQ3-PT - Turquoise w. Platinum design. The classic Apponyi design is also known as Chinese Bouquet. Tea Pot with Rose Knob - Hadik HDE pattern. Herend fine china - 1607-0-09 HDE design. Tea, Coffee, Espresso Sets and Dinner Services are available. Soup Tureen w. Strip Knob - Chinese Bouquet Turquoise / Apponyi ATQ3-PT pattern. Herend fine china - 23-0-07 ATQ3-PT - Turquoise w. Platinum design. The classic Apponyi design is also known as Chinese Bouquet. 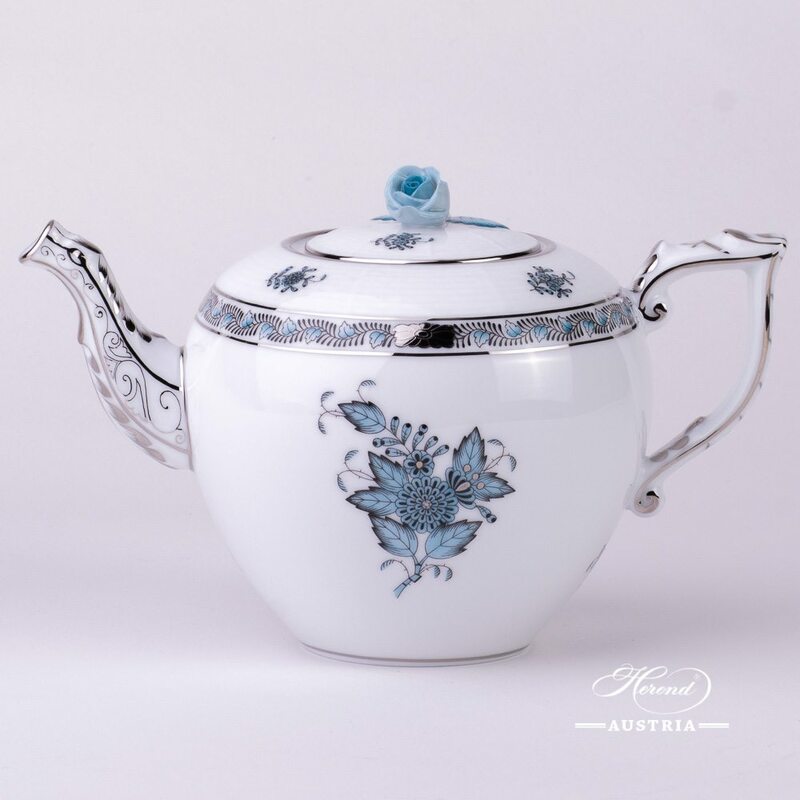 Tea Pot w. Rose Knob - Vienna Rose Grand with Platinum - VGR-PT pattern. Herend fine china - 605-0-09 VGR-PT – modern design. Vienna Rose VRH design is a classical Herend pattern. 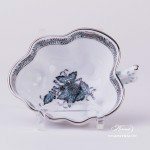 Apponyi Turquoise Sugar Bowl - 492-0-00 ATQ3-PT - Herend Porcelain This Sugar Bowl is part of the Essential Coffee Set. Of course you can buy it separately as well. The ATQ3-PT decor is a modern variant which painted with Turquoise colour and Platinum edge. For those people we recommend who like modern style pattern and modern colour version. Traditional Rothschild Bird decor, ordered by the famous Rothschild family from the Manufactory of Herend. Herend Fine china - Tea Pot with Bird Knob - 606-0-05 RO-ETB 1 pc – Tea Pot – vol 8.0 dl (27 OZ) 606-0-05 RO-ETB Universal Pot for daily usage.